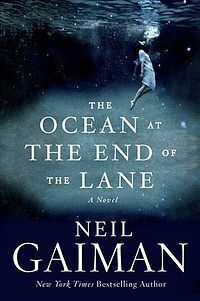 The Ocean at the End of the Lane, Neil Gaiman’s first work for adults in almost a decade, tells the story of an unnamed narrator’s childhood adventures in rural England. But this young boy’s adventures are not limited to imagination and exploration, although he recalls a fair amount of both. He reminisces about the time he unintentionally let loose an evil creature from a strange land with an orange sky and the adventures that followed. From his equally strange neighbors, the Hempstocks, he learned all about a world he never knew existed, a world full of the impossible. A grown-up fairytale, The Ocean at the End of the Lane is sure to be a favorite with fantasy readers, science fiction fans, and anyone who enjoys a good story. – How does Gaiman create this world-within-a-world by melding fantasy with reality? – What are the narrator’s thoughts about the world of adults vs. the world of children? Do you think that he’s right? – Gaiman tells the story through the an adult narrator looking back on his childhood. How does this perspective influence the telling? Also from Neil Gaiman- Anansi Boys, Coraline (made into a full-length feature film in 2009), Sandman, Stardust (adapted to the screen in 2007), the Newberry Medal award-winning The Graveyard Book and many more. Visit www.neilgaiman.com to learn more! And for those in Billings, Montana- sign up to hear Neil Gaiman read his new novel at the Grand Opening of your new Public Library on February 21st. So begins Amy Tan’s The Valley of Amazement, a novel about young Violet Minturn, her mother Lulu, and their separate struggles towards awareness and preservation of self. At seven years old, Violet may have known who she was but she quickly lost sight of this important self-identity, when she was tricked into becoming a fourteen-year-old courtesan in Shanghai, separated from a mother who believed her dead. She struggles into adulthood as a young courtesan, courted, wooed, paid, and subsequently discarded by an array of suitors. Her story is not unlike that of her mother, Lulu, told during the second half of the novel. Lulu faces her share of heartbreak and attacks to her all-important “self,” ultimately making her own way in Shanghai with only her daughter and her wits. This novel is a beautifully written work about the mysterious and glamorous world of Shanghai courtesans in the early 20th century. Tan captures the contradictory nature of life in a first-class courtesan house: gifts received for favors given, heartfelt declarations of love followed by payment, the abrupt end of passion at the end of a season or the breaking of a heart. But beyond the glamour, the jewels, and the parties remain Violet and Lulu. Two girls, and later women, struggling with identity in circumstances that offer few choices. At its heart, this novel is about mothers and daughters, their perceptions of each other and themselves. Lulu, intent on creating her own life, separate from parents that she believes don’t understand her, crosses oceans in pursuit of this life. Though not initially separated by choice, Violet later decides not to correct her mother’s belief that she did die in an accident. Both women believe that in order to maintain their sense of self, they must separate themselves from their past. In the struggle for self-awareness, often the ones that already know our true selves- our mothers or fathers- are necessarily left behind as we struggle to learn what they already know. But just as Violet and Lulu, we all eventually return to those who first taught us about ourselves, against whom all others are measured. This is one to read between mothers and daughters (although you may have trouble trying not to blush at the juicier depictions of life in a courtesan house). Here are few discussion questions to get you started. – Lulu and Violet both make decisions based on their relationship with their mothers. How do you think that their lives may have been different if they had made different decisions? Were their fates out of their control? – Why do you think that Lulu and Violet had such a hard time forgiving their mothers? Do you think that their mothers deserved forgiveness? – Do you think that Lulu’s love of Lu Shing was influenced by her perception of herself? What about her relationship with Danner? – What do you think that Lulu saw of herself in Lu Shing’s painting, The Valley of Amazement? What did Violet see when she looked at the painting? – Both Lulu and Violet are separated from their daughters for most of their lives. How does this impact them and their sense of self? 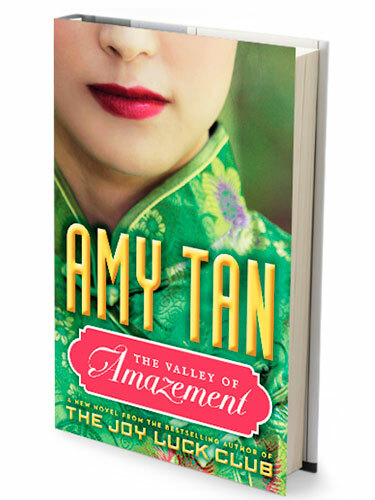 Visit Amy Tan’s website for more insight into The Valley of Amazement, as well as her own family history that influenced the book. I saved the best for last for our week of young reader suggestions. 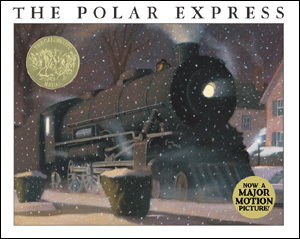 I can’t think of anything better than Chris van Allsburg’s The Polar Express to share the joy and magic of the holiday season. Enchanting families since its publication, The Polar Express has become a tradition for many families during the holiday season. It tells the magical story of a young boy, who’s not quite sure about Santa Claus, and his fantastic journey to the North Pole aboard the Polar Express. There he meets everyone he always heard stories about: Santa, elves, and the reindeer. He is chosen, among all of the other children also on this adventure, to get the very first gift of Christmas. He chooses a bell, but not just any bell. The boy asks Santa for a silver bell from his sleigh. Just like the night, this bell is magic. In the course of his adventures, the boy loses the bell but awakes on Christmas morning to find it waiting for him under the tree. He shakes the bell and hears the joyful sound of Christmas and his own belief in magic. This is a book for the entire family. A 1986 Caldecott Medal Winner, it perfectly creates the magic and wonder of Christmas. If your child is on the fence about Santa, just like the hero, this book can help convince him or her of the possibility of magic and power of belief. Also good for young train enthusiasts, as its title suggests. The holiday, whether you believe in the magic of Santa Claus or just the magic of your own family, you too might hear a little tinkling bell on Christmas Eve. – Trains were once the ultimate toy to receive wrapped on Christmas morning. Consider giving a set to your child this holiday or, better yet, dig your old set out of the attic and set it up together! – This book was made into a full-length animated film in 2004. Unlike so many movies adapted from books, this one is every bit as magical as the beloved book that inspired it. Watch it together as a family. Extra credit to anyone that serves hot chocolate while dancing, just like the train’s attendants. – Letters to Santa are always a family favorite. Try to get your child to ask for just one very special gift. 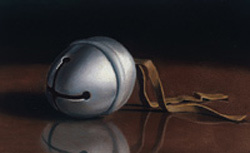 – Find a silver bell to ring while reading the story. At the end, give it to your child to keep or hang it on the tree together. You could also wrap it for them to receive on Christmas morning. There are also a lot of wonderful activities, games, and other ideas at Chris van Allsburg’s website. Share your family traditions and find out how other families celebrate Christmas with The Polar Express. All aboard! This holiday season, teach your child how to be a calm and caring leader. 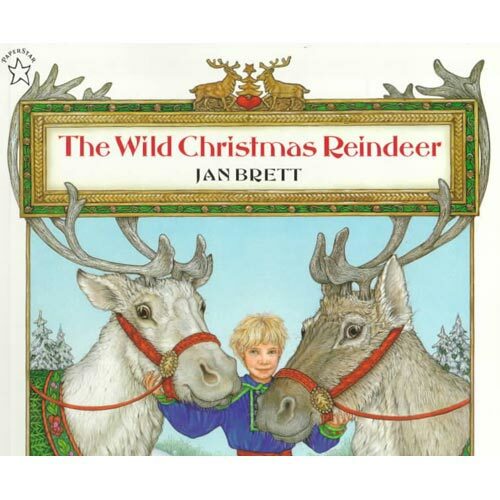 Share Jan Brett’s The Wild Christmas Reindeer with your family and celebrate the season with Teeka, the young girl in charge of rounding up and training Santa’s reindeer in time for Christmas. Gone are the cartoonish depictions of Rudolph and his friends. Instead, Teeka has to learn real-life lessons, such as leadership, forgiveness, and friendship. The side panels of each illustration make this story just as wonderful to see as to read. All of Jan Brett’s books are beautifully illustrated but this one seems to strike a particular chord with so many readers. This book is one for artists, animal lovers, and holiday enthusiasts- perfect for the entire family. Make Jan Brett a part of your holiday traditions this year and for many Christmases to come. – Have your child create their own story from the illustrations on the side of each page. They can even make themselves a character in their story! – Pause on each page and ask your child what they think will come next. Ask them if they think that Teeka’s methods of training will work. Talk about how people should treat animals and friends. – Make reindeer ornaments with your family to hang on the Christmas tree. You can give them creative and silly names, too! – Visit your local animal shelter to spend some time with the animals for the holidays. Visit www.janbrett.com for more activities, coloring pages, and more for all of Jan Brett’s original and wonderfully creative books. Family Reading- How the Grinch Stole Christmas! This holiday, why not start a new tradition? 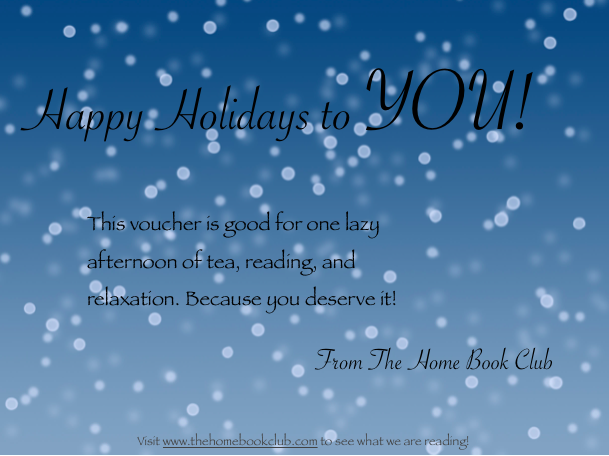 Pick a holiday classic to read as a family! 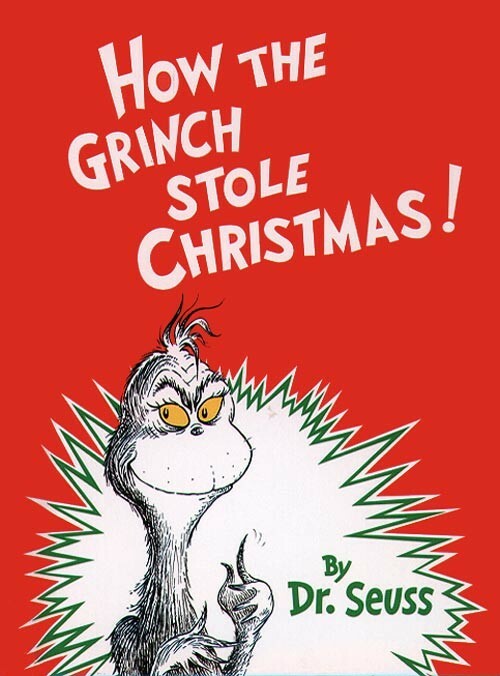 My suggestion for younger readers is Dr. Seuss’ How the Grinch Stole Christmas!, a classic Seussical story about a mean old miser, set on destroying Christmas for the joyful townsfolk of Whoville. The grinch, along with his dog-reindeer, Max, sneaks into the town dressed as “Santy Clause,” steals all of the presents, decorations, and even the roast beast! 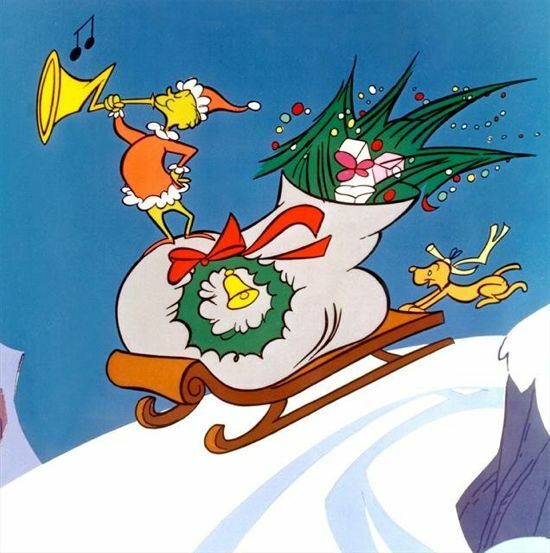 Upon realizing that he had not stolen Christmas from the Who’s of Whoville, whose joy never came from presents or things, he and Max speed into town on his sleigh, full of holiday things, and brings Christmas back to the grateful Who’s. Here are a few questions and activities to help your little ones learn what is important this holiday season, alongside the Grinch. – What do the Who’s like about Christmas? What do you like about Christmas? – Why do you think the Who’s like to sing together at Christmas? Pick out your favorite holiday song and sing it together as a family. 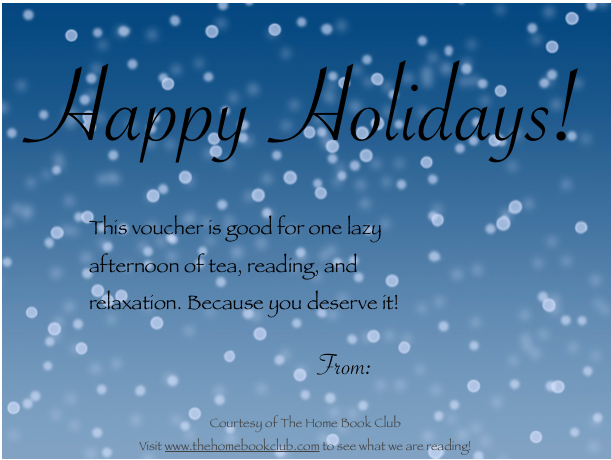 – Some people don’t get to open a lot of presents during the holidays. Donate toys and gifts or volunteer at a soup kitchen to teach your kids about sharing and helping others during the holidays. Search Volunteer Match, www.foodpantries.org, or Feeding America to find an organization near you. The Giver is, I think, one of the best books to read with your family. Actually the first in a collection of four novels, The Giver tells the story of Jonas, a twelve-year old boy who is given the task of “keeping” all of the memories for the people of his community. As his friends are given adult assignments like taking care of the elderly or newborns, Jonas is selected to fill a much more challenging role. He must leave his family unit and take on the burden of human experience, with only his elderly predecessor as a guide. Lois Lowry brings to light topics such as family, sacrifice, and the importance of fully living and experiencing life. – There are many redeeming qualities about Jonas’ community: strong family bonds, no poverty or unemployment, equal treatment for each citizen. How do these aspects compare to the lack of diversity? What do you think is lost and gained by adhering to community structure the way that they do? – How is Jonas’ family different from others in their community? Do you think this has an impact on Jonas and the choice he eventually makes to leave? – Do you think that Jonas was happy about being chosen to be the next Giver? – While training to become the next Giver, Jonas experiences both painful and joyful memories. Why do you think that both are necessary? – Why do you think that Jonas leaves the community? Would you have made the same choice? 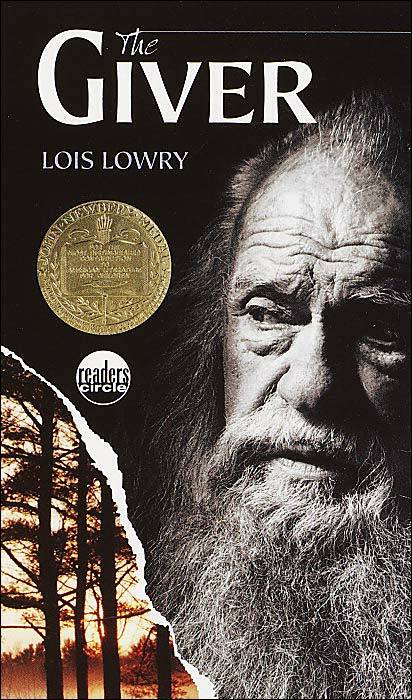 – In her acceptance of the Newberry Award for this book, Lois Lowry allows for various interpretations of the ending, saying “There’s a right one for each of us, and it depends on our own beliefs, our own hopes.” How did you interpret the final scene of The Giver? This book is particularly good for young readers. In fact, is is often included in middle school curriculum and has been included on NPR’s “100 Best-Ever Teen Novels” and Goodread’s “Listopia: Best Young Adult Books.” Enjoy it this season with your family readers!